mwe3: Can you tell the readers what city or town youre from originally and where you live now and what you like best about it? How would you compare Sweden musically or otherwise to its Nordic neighbors and other countries in the region? 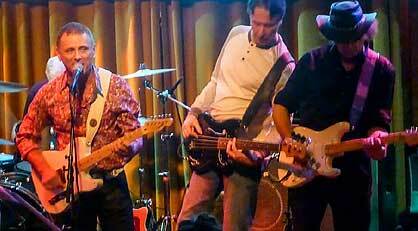 Stefan Fredin: We grew up and formed the band in a seaside resort 15 km southeast of Stockholm called Saltsjöbaden. In fact Olle, our lyricist and myself still live here while the others has moved closer to the center of Stockholm. I think Sweden compared to its Nordic neighbors has a more diverse music scene. One other difference is that Sweden has had many internationally successful artists of course all starting with ABBA! mwe3: The albums you have made with Trettioåriga Kriget are quite renowned among rock and prog-rock fans. 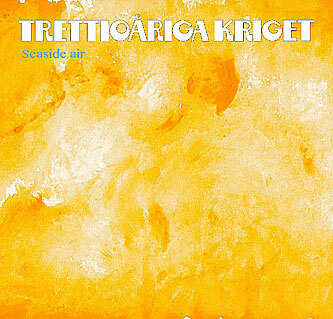 What was involved in the decision to record and release Seaside Air, which is the first Trettioåriga Kriget sung in English and why did it take s long to release a Trettioåriga Kriget album with English lyrics? The album will no doubt broaden interest in the band! Stefan Fredin: Basically it has to be my and Olles decision since I write most of the music and he writes the lyrics. But already making the first album after our reunion in 2003 we had this idea of an album trilogy with Swedish lyrics. So we followed this idea through and released Elden Av År (2004), I Början Och Slutet (2007) and Efter Efter (2011). After completing this trilogy we felt that all doors were open and it was time to try something new. Though to be really precise, we actually recorded a pre-debut album in 1971, but not released until 2004, called Glorious War which has English lyrics, although very amateurish. But, of course, all the main Trettioåriga Kriget albums have Swedish lyrics. One other reason apart from trying something new, was that we know that we have fans in many countries all over the world and it would be nice if they could also understand the lyrics. mwe3: Tell us about the chemistry of the members of Trettioåriga Kriget and what band members are on Seaside Air from the original band going back to the 1970s? Stefan Fredin: From the original band in 1970 there are only me and Dag left as playing members, Though Olle who played harmonica and guitar in the original lineup now is the lyricist and Johan who played drums in the original lineup now does all the bands artwork. Of the other other members Robert joined in 1971, Chris in 1972 and Mats in 1977. So Mats is not playing on the first two TK albums. Our creative process normally starts with me playing a musical idea to Olle. If he likes it and approves he takes it home and writes the lyrics to the song. I then take the song to the band which at this stage of the process consists of me, Dag, and Chris. We arrange the song together and record a demo. If it is a song Robert will sing we then rehearse with him. Normally Mats does his keyboards when the final recording has been done. Basically I write the music, Olle the lyrics and Dag produces the musicall three of us being founder members of the band. mwe3: What do you remember most about the great Swedish progressive rock heyday of the 1970s and how has the Trettioåriga Kriget sound evolved since those heady late 1970s days? It seems sad that so many of the great Swedish prog pioneers are gone now like Bo Hansson and Lasse Hollmer. Were you influenced by Bo and Lasse and do you feel Swedish prog-rock never received the proper recognition it deserves? .we were not influenced particularly by Bo Hansson or Lasse Hollmer but we wanted more or less the same typical Swedish melancholy in our music. And of course we were influenced by the new musical scene in Sweden in general. Actually we shared the stage at Bo Hanssons last performance at the Melloboat festival in, was it 2008? Maybe the Swedish progressive rock scene did not get the recognition it deserved at the time, but I think it really has gotten it in later years. mwe3: The first track on the new album is called The Photograph. Is the song autobiographical and does it reflect memories of growing up in Sweden? How do you write music with your lyricist Olle Thörnvall, music or lyrical ideas first, and was it more of a challenge to compose and/or sing with English lyrics? Stefan Fredin: Nowadays I usually make the music first and then present it on my acoustic guitar and sing the melody to Olle. If he thinks it good enough he walks home and tries to find the words. Sometimes its easy and sometimes not so easy. The Photograph is, in a way, semi-autobiographical. It is written around photos of the end station for the train from Stockholm to Saltsjöbaden a hundred years ago. That station was torn down before our time, but Olle and I actually grew up just where it had been situated. As children we could still see some faint traces of it. Olle definitely found it a challenge to write in English, but Robert and I did not find awkward in any way to sing the resulting lyrics. mwe3: The title track Seaside Air is one of the great pop-rock songs of the year. That track and The Photograph speak about The Grand Hotel. Hoe does The Grand Hotel fit into the Trettioåriga Kriget history? Did you set out to write a classic rock song with Seaside Air. The song also speaks about hearing the Beatles music for the first time. Do you feel its been like a 50-year dream and are you amazed at how much people still speak about The Beatles as a huge 20th century influence? Robert Zimas vocals on that track are excellent too. worked at the hotel. Concerning Seaside Air, we set out with the same aim as always, to write as good a song as we could. I am glad you like Roberts vocals because he worked a lot on that one. The Beatles are to us the most important thing that have happened in popular or contemporary music. We all loved them from the start and we still do. So from our point of view, there is nothing amazing in people still speaking about them. we live on in the garden. Stefan Fredin: Here I dont have much to add, you have captured the essence of the song. Its definitely autobiographical, very autobiographical for Olle. About Caravan, the time is right although none of us thought especially about them when doing the song. 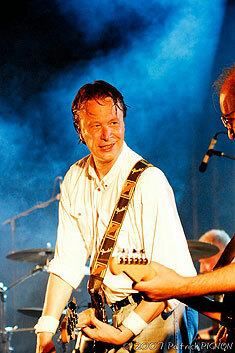 But as a matter of fact, Olle and I saw them at the Marquee Club in London in the summer of 1970! mwe3: Track 4 Snow dates back to 1976, which is the date under the song title in the Seaside Air booklet. Snow is one of the more dramatic sounding songs on the CD. Its amazing how you compare a snowstorm with unrest and longing. Is that a song that you could only write from a Swedish perspective? There is something bleak and worrisome about a blizzard or is it those long dark Swedish winters? Stefan Fredin: Once again you captured the essence of the song perfectly. As a matter of fact, Olle had a severe breakdown a month later in February 1977 and was taken to the hospital. It took a year for him to recover. mwe3: Billy is about English pop star Billy Fury? Dag wrote that song? What influence did Billy Fury have on your music? 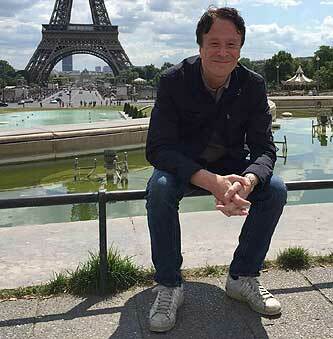 He didnt really make a big splash in the U.S. but astute music fans know him. Theres some great mellotron sounds on that track. Do you have some further info on Billy Fury? What did you like best about the Mersey Beat sound of the early 1960s? Its amazing how contagious that sound was all over the world back then. Where did you come up with the play it cool line in the song? you know in 2013 me, Dag and Olle made a trip to Liverpool visiting The Cavern, Johns and Pauls childhood homes and other places connected with The Beatles in Liverpool. But Olle had also listened a lot to Billy Fury who of course came from Liverpool. He knew there had to be a statue of him somewhere in Liverpool and after a few days we finally found it on the bank of the Mersey River. So the song is about Billy Fury and our search for him in Liverpool. I would not say we are influenced in the least by him. To us, the beginning was The Beatles, and they came slightly later than Fury whom none of us heard at the time. Fury was an Elvis copy, whereas The Beatles started something completely new. Still, Fury wrote some of his own material and early on, The Beatles were turned down as his backing group on a tour in England. mwe3: Dreaming Of Vermeer was written by guitarist Chris Åkerberg? I had no idea what a big influence Vermeers paintings were on musicians. How would you describe that influence? Is that song kind of a paean to the port of Amsterdam? Amsterdam has such a rich artistic history. Any favorite Vermeer paintings you could recommend? Stefan Fredin: I think apart from being the subjects of two songs, respectively, neither Fury or Vermeer had any influence on the band as a whole. Perhaps on Olle, who is more into those things. But we played in Holland and afterwards spent some days together in Amsterdam where we saw some pictures by Vermeer. Olle got the idea for the lyrics then. Olles favorite paintings by Vermeer are The Music Lesson, The Milkmaid, A View Of Delft and The Artist Or The Painter. mwe3: The Seaside Air closer is Behold The Pilot. Is that the centerpiece of the album? How did you decide to dedicate this track to a figure in Roman mythology? I saw Trettioåriga Kriget is also credited on the Palinurus page on Wikipedia! The guitar solo / mellotron in the middle of the song is very effective. How was Palinurus an influence, as you say on Trettioåriga Kriget when they first started? Stefan Fredin: In the original line up of Trettioåriga Kriget when Johan and Olle still played in the band, Johan came to one of our first rehearsals with a small book called The Unquiet Grave by someone called Palinurus. Olle borrowed the book and got hooked! He found out more about the original Palinurus in Roman mythology. The ghost of Palinurus suited Olles sense of mystery and so the story grew. But of course it has something to do with growing up by the water, as we did in Saltsjöbaden. There will be a book by Olle and with Johans pictures called Behold the Pilot released the next year, although the Swedish title is Se Styrmannen. mwe3: The Seaside Air album was released on CD by the Mellotronen label. Can you tell us something about this label and how you joined them for the new release? Also I remember Peter from Mistlur Records. Tell us something about Mistlur and the other labels you have recorded on with Trettioåriga Kriget. Stefan Fredin: Well you know the Mellotronen label is run by Stefan Dimle. He first contacted me in 1992 and wanted to release the Krigssang album on CD, He then persuaded me, Dag and Robert to do an acoustic set at the release party for the album. Chris did not wanna play that gig so he was replaced by Reine Fiske from Dungen and Landmark fame. It is the only gig we have done without Chris since he joined. Well, myself, Dag and Chris started to play together again in the 1990s, with Olle as sole listener. In 2003 we then recorded the come back album Elden av år and it seemed natural to release it on the Mellotronen label since Stefan has played such a big part in our reunion. In fact he stills plays a big part in Trettioåriga Kriget, always putting in good vibes and new ides. Our deal with him is that we own and record our albums ourselves . But is seems nice and appropriate to have all our albums on Stefans Mellotronen label. Our first two albums were recorded on the CBS label, which is now Sony and we then switched to the small independent label Mistlur, which was ran by Peter Yngen, as you say. We did our last three albums there before the break up in 1981.
mwe3: You were talking about how the internet has helped rekindle interest in Trettioåriga Kriget. Are you happy with the internet model weve been living with for the past 15 year and how do you feel the net could be improved to help artists and musicians make more income? Stefan Fredin: For sure the Internet has been very, very important to us, helping us to communicate directly with the fans without any middle hands. The downside of course being that the value of recorded music now is almost zero. People expect it to be almost free. I really have no idea how it could be improved to increase the income of artists and bands. Something clearly needs to be done but so far no one has managed to come up with a sustainable idea. I have to say that we are lucky having fans who want the whole package with cover and lyrics and all, so we are still selling physical albums. But of course we are affected too and royalty payment from streaming services like Spotify is a joke. Its not much better than illegal downloading! mwe3: With Seaside Air out and making inroads, have you given thought to future plans for Trettioåriga Kriget regarding concerts and writing and future recordings? I hope you will consider making more English lyrics songs on upcoming albums so those of us outside Sweden can fully appreciate the Trettioåriga Kriget legacy! 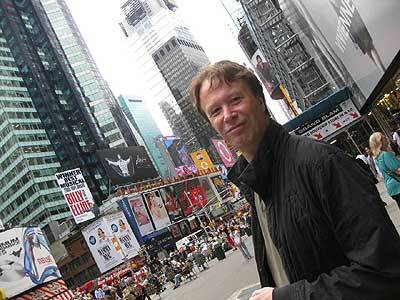 Stefan Fredin: Right now we are all enjoying a summer holiday, in and out of Sweden. Future plans are definitely some more concerts to promote this new album. Me and Olle are discussing a new album, maybe with a bit more emphasis on the instrumental side of TK. I have talked to the others as well and we are all of the same mind.